" Welcome to Our Scrapbook of Treasured Family Photo's "
Family Tree for Reed , Farmer ,Woodall , McBride ,Smith and West. Married 4 th day of Sept. 1868 in Franklin County, Alabama . Enoch David Christopher Reed was born in 4th day of Nov. 1845 in Franklin County , Alabama to Enoch and Mariah ( Johnston ) Reed . Enoch David Christopher served his country in the Civil War. Enoch David was a Capt. 26th Alabama Register - Regiment. Marion County , Alabama. Enoch David was wounded and discharged from the Army. After his return home he meet and married Sarah Loatisha West . They were married ; 4 Sept.1868 in Franklin County , Alabama. Enoch David and Sarah Loutisha had six children together. Their oldest son was , Joseph Johnston Reed , ( 1872-1932 ) . The other children were Enoch Benjamin " Knox " Reed ,( 1873-1933 ) ,William James " Bill " Reed , (1876-1948 ) , Sara Jane Reed , (1878-1906 ), James Littleton " Litt" Reed (1882-1956) and Thomas Calvin " Cab " Reed ( 1884-1959 ). All the children were born in Franklin County ,Alabama. Sarah Loutisha ( West ) Reed died in 1904 and was buried in the Nooner Cemetry , Yell County. We know from family history that Enoch Benjamin Reed came to Arkansas at age 16 yrs. I'm sure all the family came about the same time.
" 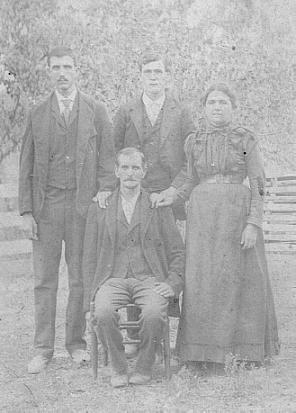 The Enoch Benjamin Reed Family of Arkansas"
Enoch Benjamin and Arbelia ( Farmer ) Reed and children of Yell County, Ar. The Reed children shown in the family photo are: Ida Mae Reed (1900-1952 ) , Effie L. Reed (1902-1985 ), Earl Reed ( 1904-1905 ), Jessie H. Reed ( 1906-1977 ) and Lula Marie Reed ( 1908-2000 ) .These are the flve children born to Enoch Benjamin and Arbelia ( Farmer ) Reed. They first made their home in Steve , Ar. but later moved to Riley Creek in Yell County, Ark. They both are buried in the Riley Creek Cemetry, Yell County Ar. Enoch was often called " Knox " Reed. According to family history he came to Arkansas with his parents Enoch David and Sara Loutisha ( West ) Reed when he was 16 years old. The family settled in Steve Arkansas. 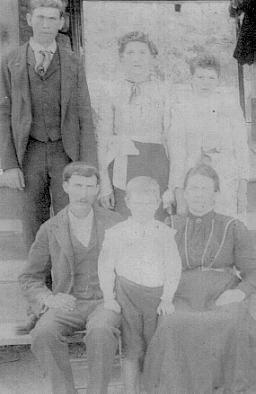 Enoch B. meet and married Arbelia Farmer on 9th day of April 1898 and they made their home in Steve , Ar. Enoch B. was a farmer and had an interest in political affairs. He was well know and respected in his community. Arbelia was a home maker and mother of four children. Arbelia was the daughter of Littleton Farmer and Rebecca Louisa ( Woodall ) Farmer. They owned several acres and some acres near the Petti Jean River Bottom. Enoch Benjamin died 12th day of April 1933 and Arbelia died 5th day of January 1959. They are buried together in the Riley Creek Cemetery, Yell County , Arkansas. Amos L. Farmer ( 1882-1949 ) was born , 9th March 1882 to Littleton and Rebecca Louisa ( Woodall ) Farmer. He was one of three children born to Littleton and Rebecca Louisa ( Woodall ) Farmer . He was the grandson of Robert Farmer and Rebecca ( Wilson ) Farmer of Waldron , Scott County , Arkansas . He meet and married Maggie Farmer in Yell County , Arkansas. The only known children of Maggie (unknown) Farmer and Amos Farmer were , Odell Farmer , Bernice Farmer and Winnie Mae Farmer . Amos died 14thApril, 1949 in Cypress , Calif. He is buried in the Westmister Memorial Garden , Cypress , Calif.
Milas Lee & Flora ( Patton ) Farmer and Floy. 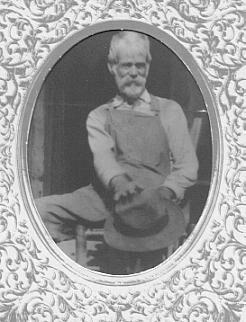 Son of Littleton and Rebecca Louisa ( Woodall ) Farmer. 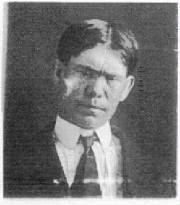 Milas Lee Farmer ( 1877-1947 ) was born 09 September 1877 in Belleville , Yell County , Ar. to Littleton and Rebecca Louisa ( Woodall ) Farmer . Milas was the brother of Amos Farmer and Arbelia ( Farmer ) Reed . Milas was the grandson of Robert Farmer and Rebecca ( Wilson ) Farmer of Waldron , Scott County , Arkansas .. He married Flora Patton ( 1882-1975 ) daughter of Stephen and Bell Patton . They had five known children together . #1. Mamie ( Farmer ) Buckman born 04June 1906 and died 09 May 1991 . 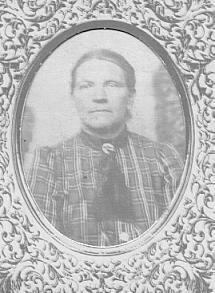 Mamie married Henry N. Buckman of Yell County . Ar. Henry N. Buckman was born 19 Jan.1904 and died 31 Dec. 1988 . They are buried in the Havana Cemetery , Yell County , Arkamsas . #2. Floy Farmer , born 21 December 1900 in Belleville , Yell County , Ar. Floy Farmer died ; 20 December 1970 . 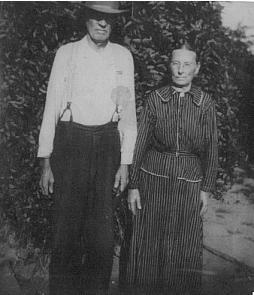 Floy Farmer married Talmadge Boykin born 03 Sept 1902 and died 03 Feb. 1979 . They are both buried in the Havana Cemetery in Yell County , Arkansas . # 3. Elva Farmer born ; 18 Mar. 1903 and died ; 16 August 1970 . Elva Farmer married Lawrence Rosco Hays Sr. of Yell County , Ar. Lawrence R. Hays was born 07 March 1904 and died 31 May 1996 . #4 . 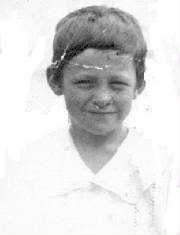 Arthur Farmer born ; 08 August 1904 in Belleville , Ar. Arthur Farmer died 16 August 1970 . Arthur married Grace Evelyn ( Russell) Farmer . Grace Evelyn ( Russell ) was born , 28 January 1906 and died 12 Oct . 1983 . They are both buried in the Russell Cemetery , Belleville , Yell County , Arkansas . #5 . 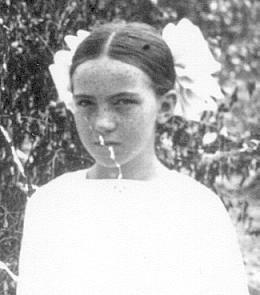 Lois Elaine Farmer born; abt 1909 in Yell County , Arkansas . Lois Elaine Farmer died married Charles Willoughby of Greenland . He was the son of C.H. Willoughby of Greenland . Lois Elaine ( Farmer) Willoughby died , ukn . Milas Lee and Flora ( Patton ) Farmer are buried in the Russell Cemetery near Belleville , Yell County , Ar. 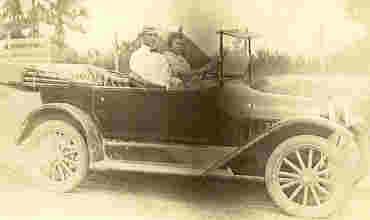 Trip made for a second honeymoon in 1923/24. Ida Mae ( Reed ) Hollimon was born : 15 th Aug.1900 in Steve , Yell County , Arkansas. 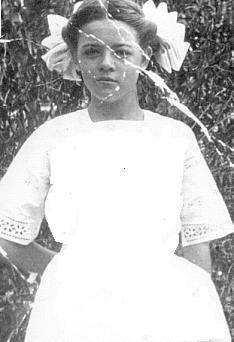 She was the oldest child of Enoch Benjamin Reed and Arbelia ( Farmer ) Reed. Ida Mae meet and married Jessie James Hollimon ( 1896-1984 ) from Franklin County , Alabama . He was the son of William Hollimon and Lena ( Portwood ) Hollimon . Jessie had come to Arkansas to work for his Uncle Monroe J, Vandiver and Aunt Martha (Hollimon ) Vandiver who had a farm in Yell, County , Ar. The Vandiver homeplace was near the Reed homeplace on the old road that led to the Riley Creek Church and the Riley Creek Cemetery. Ida Mae often walked to church with her sisters and friends. Jessie James soon meet her and began walking along side her. It was not long before Jessie James asked Mr. Reed if he could court Ida Mae. Mr. Reed seemed impressed with Jessie J. and agreed to let them date. A few months later Jessie received his draft notice from the goverment that he was being drafted into the Army. He had to report to Danville , Arkansas. They decided to wed before he left if Mr. Reed, Ida Mae's father would give them permission to wed. They were married in Danville Arkansas just before Jessie was to report for training. Ida Mae's family decided she should remain there with them until Jessie James returned from his tour of duty. 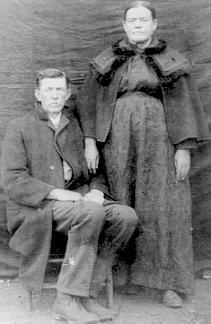 Ida Mae stayed with her parents until Jessie James returned. 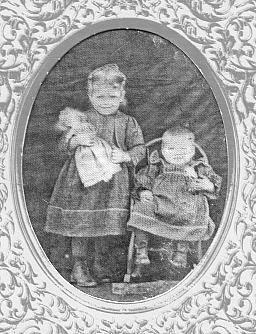 Ida Mae and Jessie had two daughters together. One daughter ( B/D) buried at Riley Creek Cemetery , Yell County, Arkansas. The other daughter is living. Old Model T Ford ..
George and Lundy Wilson with their two sons, Raford and Marion Wilson. Lundy Evaline ( Woodall ) Wilson was born in Davidson County , N.C. on 26th December 1853. Lundy was a very small child when she made a trip from North Carolina to Arkansas with her parents , George Washington Woodall and Elizabeth Evaline ( Smith ) Woodall in about 1855. Lundy Evaline was a granddaughter of our Rebecca Workman ( Shining Star ) and Leonard Smith. They were apart of the group of people that came from Sailbury , North Carolina in about 1855 to claim land in Yell County, Arkansas. The famous Obediah Smith was an uncle to her. Her family were apart of a large group of people who came west looking for a better life and land to homestead. These were very dangerous times in the South and her grandfather George Washington Woodall was killed by a group of bushwackers roaming the backroads of Arkansas. Fate Johnston , Omer Johnston , and Rebecca Louisa ( Woodall ) Farmer , Hunt, Johnston. This is a great family photo of Rebecca Louisa ( Woodall ) Farmer ,Hunt , Johnston and her third and last husband Fate Johnston . Standing betweem them is their only child together William Omer Johnston. In the back L to R , Amos Farmer , Lula Marie ( Hunt ) Misenhimer and sister Addie ( Hunt ) Webb...all children of Rebecca Louisa ( Woodall ) Farmer, Hunt, Webb. Riley Creek , Yell County , Ar. 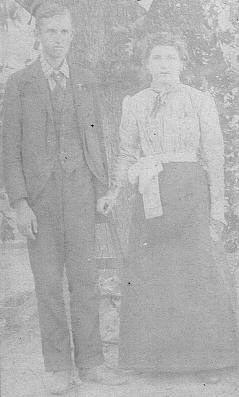 Enoch Jeffery Reed ( 1883-1955 ) was the son of Mathious Calvin Reed and Mary ( Jackson ) Reed , also in the photo we have Lula ( Hunt ) Misenhimer ( 1885-1970 ) . Lula ( Hunt ) Misenhimer was the daughter of Rebecca Louisa ( Woodall ) Farmer , Hunt , Johnston . Lula was the daughter of John Hunt , Rebecca's second husband. Haywood Haire ( 1883-1977 ) was born 28 Oct.1883 and died March 1977 . He married Laura ( unknown ) Haire . He is the son of Wincy Ann ( Woodall ) Haire ( 1854-1912 ) and William N. Haire ( 1855-1937 ) of Riley Creek , Yell County , Ar. The young man on the right is Gene Haire ..his brother . Son of Littleton Farmer and Rebecca Louisa ( Woodall ) Farmer. Lacy " Brown " a beautiful baby picture. Lacy " Brown " Sherrell was born 19 th August 1914 in Riley Creek , Yell County , Ar. --Brown was the son of John and Virginia ( Vandiver ) Sherrell of Riley Creek , Ar. Ida Mae ( Reed ) Hollimon and Friends. 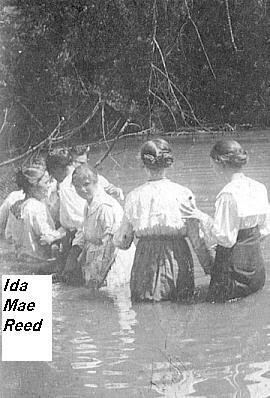 These two pictures taken at the Petit Jean River of sisters, Ida Mae Reed and Effie L. Reed remind me so much of the recent movie , " Oh Brother " The time period of the movie and a special scene in the movie , with it's music touched a special cord somewhere deep inside me. I was so happy to receive these pictures from the family. Ida Mae and Effie L. Reed. were daughters of Enoch Benjamin and Arbelia Farmer Reed of Riley Creek , Yell County , Ar. 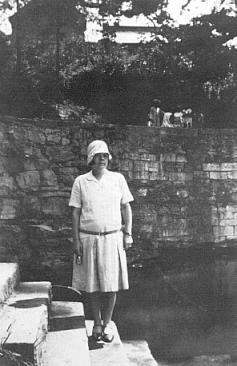 Effie L. Reed McBride at Petit Jean River Baptism. Riley Creek, Yell County , Arl. Religion and going to church was a very important part of the lives of people who lived in the country. 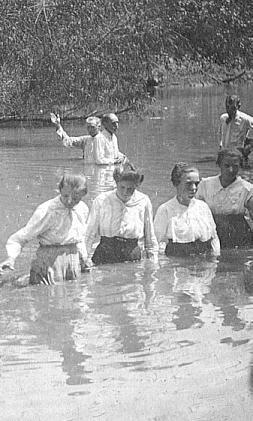 It was a way for people to celebrate their faith and to have fellowship with others in their communities. It was a time of picnic's on the ground and singing of the old gospel songs. There was always the decoration day each year, usually the first Sunday in May , to take flowers and decorate the graves of all their loved ones. I can so well remember the beautiful paper roses made by my Aunt Effie L. ( Reed ) McBride and my grandmother Arbelia ( Farmer ) Reed . I was so amazed how beautiful they were and knew many hours were spent making them. On Decoration Day everyone would see people that were from far and near. It's a special memory of my childhood days and I am sure my cousins all felt the same way too. The Well at the Reed Homeplace. This photo was taken on the old Reed homeplace in Riley Creek , Yell County , Arkansas. I'm sure this must have been made on a Sunday. The girls are all dressed up, so that would make me think it's a Sunday. Crittendon Lee Farmer, Born, Waldron , Scott County, Ar. 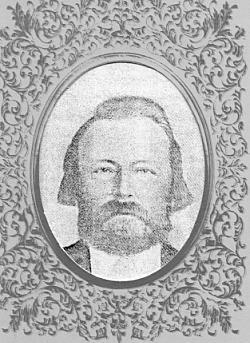 Crittendon Lee Farmer was a twin brother to Littleton Farmer. They were born: 25 March 1852 in Waldron , Scott County , Arkansas Their parents were Robert Farmer and Rebecca Wilson Farmer of Waldron , Scott County , Arkansas. Crittendon Lee married Sara Ann Smith, 24 July 1874 , in Yell County, Arkansas . Crittendon Lee and Sara Ann in their Golden Years. Photo was taken in Yell County Arkansas. The family history states that Littleton and Crittendon became seperated in the Civil War. Those were such dangerous and hard times for many people living in the rual areas. Crittendon Lee and Sara Ann had six children together. Their Children were : Dennis Sherman ( 1886-1971 ) , Rebecca Ann ( 1877-1946 ) , Fredrick Lee ( 1874-1938 ) , Candace ( 1879-1944 ) , Ora Mae ( 1882-1918 ) and Esther Atha ( 1889-1971 ) . Silas ( Buck ) Berklin Seay was born : 11 July ,1846 in Elberta Georgia. 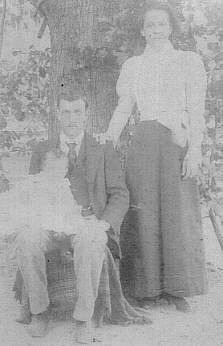 Silas meet and married Sara Marie Reed in Franklin County , Alabama .Sara Marie Reed was a daughter of Enoch and Mariah ( Johnston ) Reed . Sara and Silas had seven children together. Their children were, Lurenia Clementine Seay ( 1868-1903 ) ,Martha Jane Seay , ( 1871- 1936 ) ,Hamilton Russell Seay ( 1873- 1894 ) ,Littleton P. Seay ( 1876-1897 ) ,Sara M. ( Sallie ) Seay ( 1879-1900 ) ,Twin boys, John&Johnson Seay ( B D ) and Lucy Hennerita Seay ( 1882-1902 ) . Silas B. Seay's first wife died in 1907 in Franklin County, Alabama and is buried in the Oak Grove Cementry in Al. Silas ( Buck ) Berklin Seay married a second time to Alice( Kinard ) Seay ln Franklin County , Alabama . Silas and Alice had the following children ; James Berklin Seay ( 1916-) ,Tilda Mae Seay (1917-) General Forrest Seay ( 1919-1981) , Baby girl Seay ( B/D) ( 1922 ) ,Oscar Lee Seay ( 1923-) . 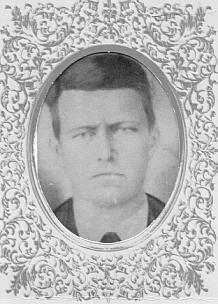 Husband of Rebecca Louisa ( Woodall ) Farmer. Littleton Farmer was born :( 25 March 1852) in Waldron , Scott County , Ark. 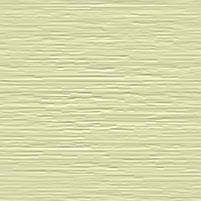 His parents were Finis E. Farmer[1814-1860] and Rebecca Ann[ Wilson] Farmer [1815-] . Littleton was a twin brother of Crittendon Farmer. Littleton was raised in dangerous times in the South. He became seperated from his twin brother at about 9 yrs old. We are not really sure where he was during those years. In his adult years he meet and married Rebecca Louisa Woodall . They were married( 25 Mar. 1875) in Yell County . Ar. In the 1880 Census we find him in the Spring Creek community , Yell County, Ar. Littleton died in 1881 at only 29 yrs old. Rebecca and Littleton had three children together. They were , Milas L. Farmer ( 1877-1947 ) ,Arbelia Farmer ( 1881-1959 ) and Amos L. Farmer who was born ( 9 March 1882 - 14 April 1949 ) .Rebecca was expecting her son Amos at the time of Littleton's death. Rebecca was a very strong pioneer woman who went forward with her life, and take care of her children. Rebecca Louisa ( Woodall ) Farmer was born in 1850 in Davidson County , North Carolina . Rebecca was a daughter of George Washington Woodall and Elizabeth Evaline ( Smith ) Woodall of North Carolina. Rebecca made a wagon trip with her parents and other family members about 1854-1855 to Yell County , Arkansas. Her parents read there was land for homesteading in Arkansas. Their land in North Carolina was worn out from all the crops of tobacco and cotton .The family made the decision they should look for new land to farm. Rebecca Louisa's mother Elizabeth Evaline keep a family bible and recorded all the special events of her family. She recorded information about her parents , Leonard Smith and her mother Rebecca Workman " Shining Star ". Their trip by wagon train was hard for them all. She recorded information about herself, husband and all her children. We are so glad she did and so grateful for all the photo's that were saved all thru the years. 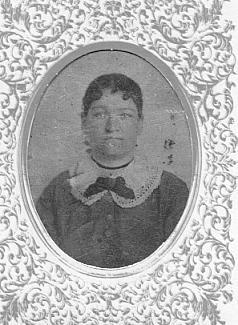 Rebecca Louisa's Uncle Obediah Smith and Aunt Marguerite were part of the family group that came to Yell County, Arkansas .There are so many stories about their lives and travels. Rebecca Louisa and her family were true pioneer's . Lundy Evaline ( Woodall ) Wilson was born; ( 26 December 1853 ) on Davidson County , North Carolina to George Washington Woodall and Elizabeth Evaline ( Smith ) Woodall . Lundy was a sister to Rebecca Louisa. She was just a toddler when the trip by wagon train was made by her family to Arkansas. Lundy meet and married George Wilson of Yell County , Ar. 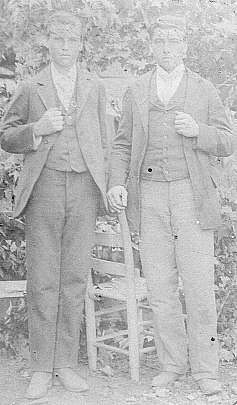 George and Lundy had two sons together , Marion and Raford Wilson. Ida Mae Reed and Effie L. Reed. Ida Mae ( Reed ) Hollimon and Effie Lee ( Reed ) McBride in about 1903-1904. 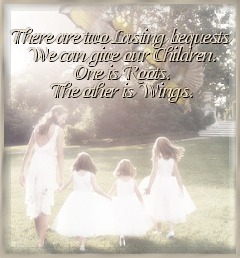 This is a precious picture of two sisters when they were very young. I wonder if Ida Mae's mother made that doll she is holding. Ida Mae and Effie Lee were children of Enoch Benjamin and Arbelia ( Farmer ) Reed. They were the grandchildren of Littleton and Rebecca Louisa ( Lou ) Woodall,Farmer,Hunt, Johnston. John and Virginia ( Vandiver ) Sherrell Family. 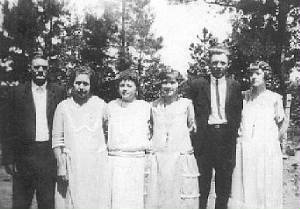 John and Virginia ( Vandiver ) Sherrell, Children , Brown, Mary Lee and cousin P. Haggard. Family photo of John Sherrell ( 1876-1951 ) , Virginia ( Vandiver ) Sherrell ( 1877-1958 ) with children Lacy " Brown " Sherrell ( 1914-1998 ) and sister Mary Lee Sherrell ( !902-1978 ). Mary Lee married a Reed and that bought our two families together. Mary Lee married Calvin Reed of Alabama. Reily Creek, Yell County , Ark. Jessie James Hollimon was born in 1896 to Wm.James Hollimon and Lena Abigail Portwood of Franklin County , Alabama. Ida Mae ( Reed ) Hollimon was born in 1900 to Enoch Benjamin and Arbelia ( Farmer ) Reed of Steve, Yell County , Arkansas. Jessie James served his country in WW1 and was stationed in France. After he returned from the war , he decided farming was not the life he wanted . In the service he learned how to be a barber and decided that was what he wanted to do with his life. He worked hard to reach his goal, even working two jobs for a few years. He worked in a shop in Ft, Sm, Ar. and also worked on the Army Base at Fort Chaffee, Ark. He was a great father, grandfather and ggrandfather. He loved his family and his church. 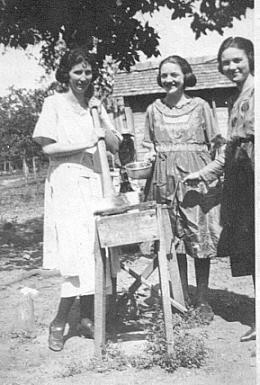 Ida Mae was a homemaker and very active in her church. She was lover of flowers and nature. She especially loved the song of birds. A loving sweet soul , who the Lord called in 1952. Jessie James died in 1984 . 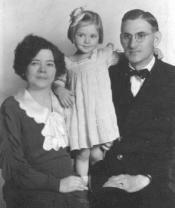 Photo of Ida Mae ( Reed ) Hollimon and Jessie James Hollimon with their daughter ( Living ). Ida Mae ( Reed ) Hollimon was born in Steve , Yell County , Arkansas ,15 August 1900, to Enock Benjamin and Arbelia ( Farmer ) Reed . Ida Mae was the oldest daugher . Ida Mae is about 16 yrs old in this picture. Sunday was a great time to get together with your family and friends. 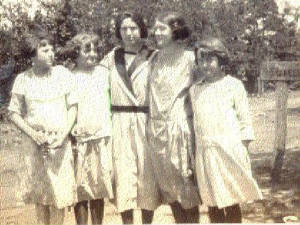 L-R. Amylee Misenhimer ,Betty Banister ,Ida Jean ,Lula Marie Reed and Minnie Banister . Photo taken about 1924 . Sunday Afternoon on the Reed Homeplace . 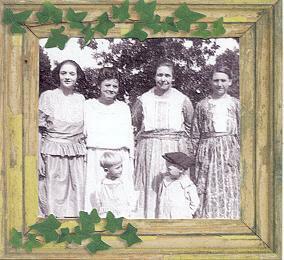 L to R , Lula Marie [Reed] Woodard , Ida Mae [Reed] Hollimon , Arbelia [Farmer] Reed , their mother and sister Lula [ Hunt] Misenhimer . The two young fellows are part of the family .
" Remembering our Reed Family with our Love , Honor and Respect "
Pictures , notes and information taken from " Journal of the Reed Family Tree " , that is a joint venture of the Reed Cousins. We are very proud to be apart of this great family tree and this work is done to show our honor and respect to all those of our family who gone before us. 2017-2018. Copyright Pending " Rebecca's Journal of the Reed Family Tree " 2015-2015.